Doug Wachob has been named interim dean of the Haub School of Environment and Natural Resources at the University of Wyoming. He will serve in this position while the university undertakes a national search for a new dean. Wachob has been the director of academic programs in the Haub School for just over one year. In the interim dean position, he replaces Indy Burke, who accepted a position at Yale University. “Both the president and I agree that (Doug Wachob is) a strong choice” to lead the Haub School forward, UW Provost Kate Miller wrote. She will chair the committee charged with searching for and hiring a new dean. Wachob earned a Bachelor of Science in zoology from the University of Minnesota and both a Master of Science and Ph.D. in zoology and physiology from UW. His career has focused on conservation, educating students about science and the natural world, and training educators to use the outdoors as an effective educational environment. Previously, he was associate executive director at Teton Science Schools, during which time he directed the Teton Research Institute, graduate program, development, communications and property management divisions. 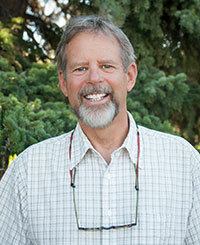 He has taught graduate and undergraduate courses in ecology, sustainability, natural resource management and education. He was recently director of conservation for the Alaska Chapter of The Nature Conservancy. The Haub School, established at UW in 1994, applies interdisciplinary and collaborative problem-solving approaches to help stakeholders solve complex environment and natural resource challenges. In addition to offering a suite of undergraduate and graduate majors and minors, Haub School faculty members conduct research in a range of environmental fields including conservation economics, ecology and conflict resolution. The Haub School is home to the Ruckelshaus Institute of Environment and Natural Resources, which disseminates relevant policy and science information from the university to natural resource managers and decision makers, and offers facilitation services and training to build collaborative problem-solving capacity in Wyoming and the surrounding region.